The team behind online game CryptoKitties is leveraging the internet’s love of cats to teach people about the blockchain. By letting people breed, collect and sell virtual felines using smart contracts, it breaks down intimidating technology through light entertainment. We explore the insights behind the game, and why tech breakthroughs need to be masked in a veil of cuteness for people to get on board. While media narratives range from a condemnation of blockchain-based tech to idolising it or highlighting how it can build trust, many people outside the industry don’t understand how it works – which is why hundreds of thousands of people watch videos that attempt to explain it in layman’s terms. But this opaqueness around technology is known to feed into fears around it. “People tend to express the highest level of fear for things they’re dependent on but that they don’t have any control over, and that’s almost a perfect definition of technology,” says sociology professor Christopher Bader, who conducts the annual Survey of American Fears. “People are increasingly dependent, but they don’t have any idea how these things actually work.” By gamifying the blockchain, CryptoKitties makes it entertaining enough for people to want to learn about it. 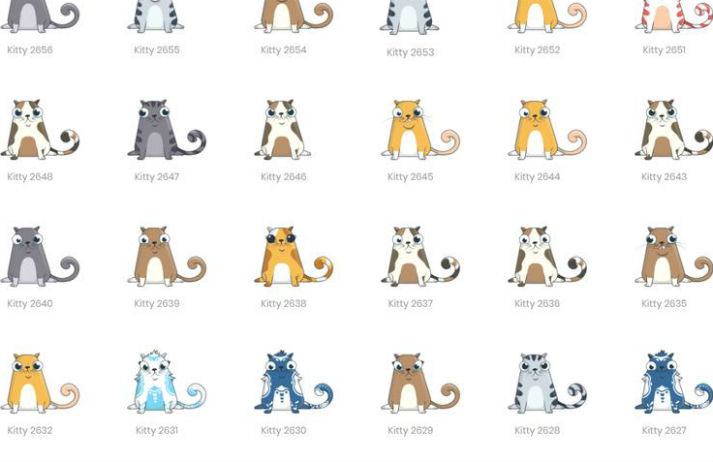 And while the kittens make blockchain less intimidating in the moment of gameplay, improved understanding of the technology is helping to make it less intimidating in the long run – which will be handy for anyone involved in the future of business, as well as avid cyber-cat breeders. Mira Kopolovic is a behavioural analyst at Canvas8, which specialises in behavioural insights and consumer research. She has a Master’s degree that focused on artist-brand collaborations, and spends her spare time poring over dystopian literature. Is blockchain the future of business?